An annual event targeting fitness freaks and giving them a chance to showcase their fitness skills by competing against each other at the Grand Finale at Cyber Hub, Gurugram. What’s Up Life, a leading lifestyle media platform based in Gurugram, has successfully hosted a series of intra-gym competitions over the last couple of weeks. At the closure of every round, winners were declared in 4 Categories in each gym & the Best among those are now going to compete against each other at the Grand Finale on 2nd September, Sunday, from 4pm to 8 pm, at the Cyber Hub, Gurugram. 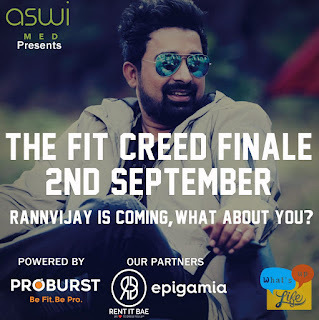 Actor, television personality, and the brand ambassador of What’s Up Life, Rannvijay Singh, will the star highlight of this grand event showcasing 30 - 40 finalists competing against each other in professional and amateur categories. 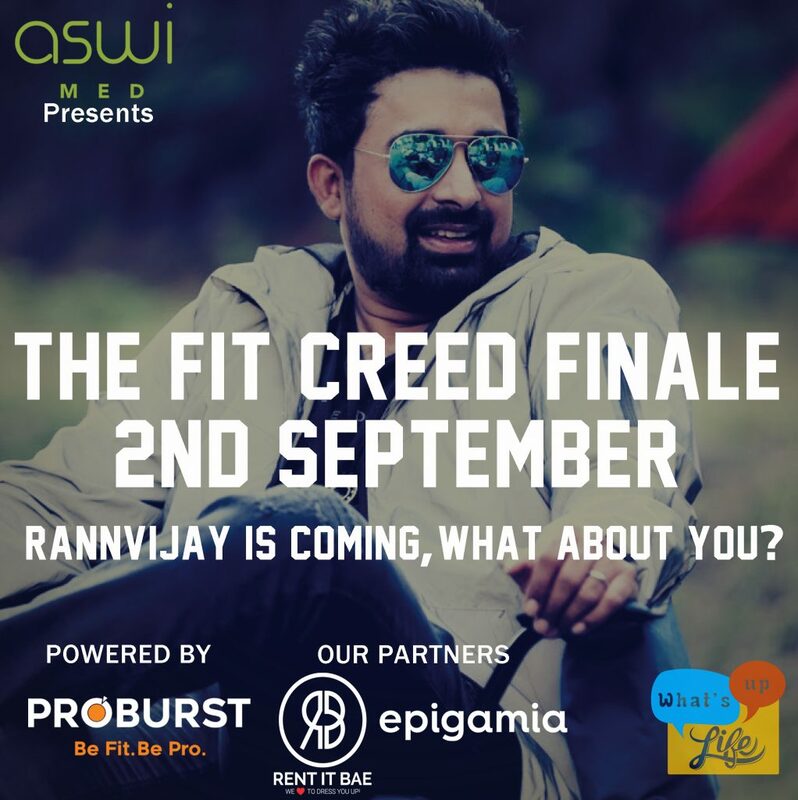 ASWImed is the Title Sponsor for The Fit Creed & it is powered by PROBURST, a leading Health Supplement Company in India. Rannvijay Singh, brand ambassador of What’s Up Life, in previous interviews marked that he liked the platform and the way ‘What’s Up Life’ is reaching out to people with their Engaging Content & Events, which brings him to the Grand Finale in Gurugram.